Click here to visit the CVS site and click “Get Free Meter Voucher.” Then on the next page, fill out the form and you’ll be able to print a certificate for a free blood glucose monitoring system. Ask your doctor to write a prescription for “ACCU-CHEK SmartView test strips” and finally you’ll be able to redeem the offer at CVS. 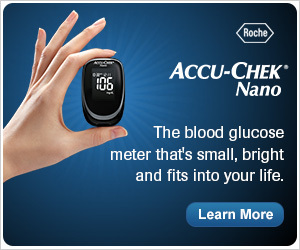 TK You for my Accu – Chek Nano. Thank you! My 8 year old son is diabetic, and this is the meter that he uses. It’s always helpful to have a backup!